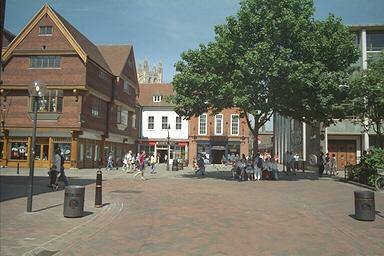 This recent development on the left contains several shops and has an internal square on the first floor which houses a café. The architect seems to have taken every possible element of Kentish building styles and thrown it into this set of buildings, somewhere. On the right is an even newer development, finished in 1997, that replaced the postwar National Westminster Bank building.